SERVPRO of East Erie County Production heroes are ready to help. Our production crews are highly trained and skilled. 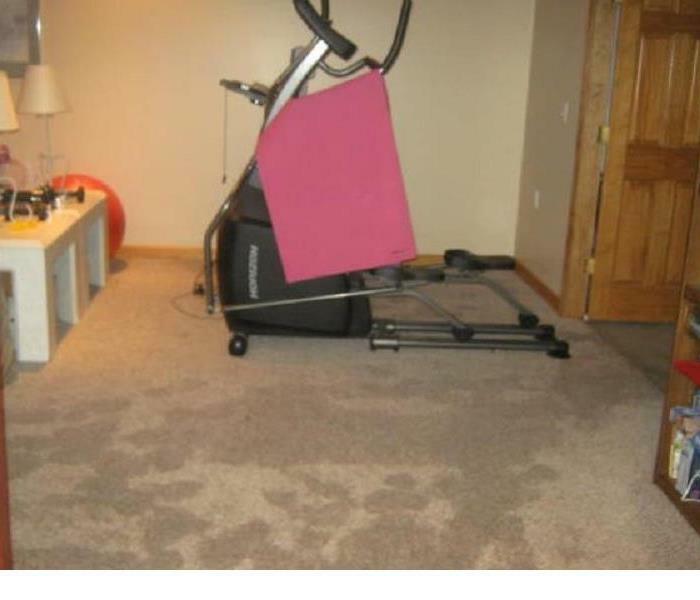 We help our customers during one of the most difficult times of their lives during a water or fire damage. 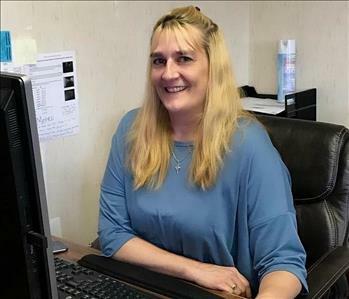 Jennifer has been in the business practically since the year she was born in 1972 when her parents Bill and Pat Sullivan bought into the franchise. During her teenage years she would assist with answering phones and helping in the field with cleaning of water and fire damaged properties. After high school Jennifer ventured off to college to study nursing. After 2 ½ years, Jennifer decided nursing wasn’t for her. Her father joked and said, “welcome back to the business”. Jennifer gladly accepted and has been full time with SERVPRO for 26 years. Since 2001 Jennifer has been managing the overall operations in the business. 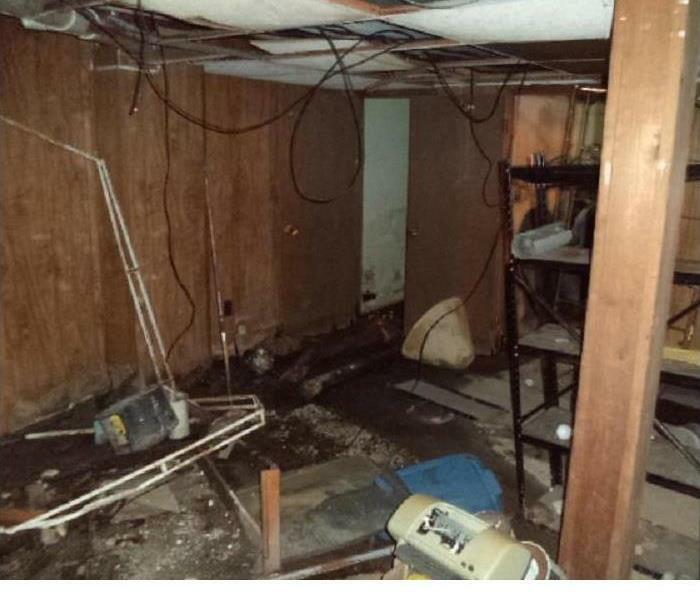 She is IICRC certificated in WTR (water), ASD (applied structural drying), Lead Certified, New York State certified in Mold Remediation and trained in subrogation. She dedicates many hours into the business being a HERO to others in need. When the daily tasks of SERVPRO ends, Jennifer enjoys going camping, swimming, going to the beach and making crafts with her daughter Ashley. She also spends many hours advocating for autism and pediatric cancer awareness. 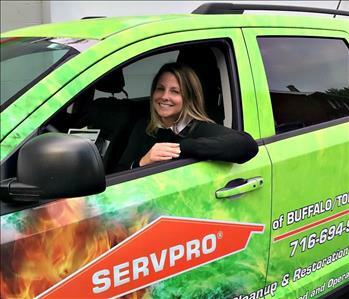 Alison Shepard has been with SERVPRO of EAST ERIE COUNTY for 7 years. Alison went to college for business management and is IICRC Water Certified. She is responsible and experienced with office procedures, overseeing daily office tasks, billing and scheduling jobs. Alison also has experience in the field estimating losses. 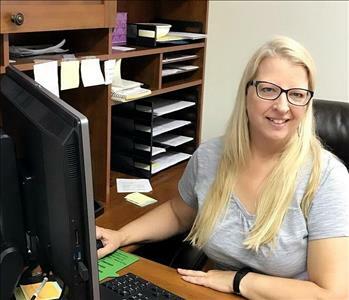 In her free time Alison enjoys spending time with her husband camping, 4-wheeling, taking long motorcycle rides into the sunset and relaxing with her 2 dogs. She adores her time with her 2 children and especially loves spoiling her granddaughter. This is a photo of our staff. From left to right is: Jeff K, Jeff T, James, Terry (production manager), Andrew, Matt, Ben, Jamison (production manager), Bill (owner), Patricia (owner), Karen, Alison (office manager), Jennifer (owner) and Geoff (general manager). 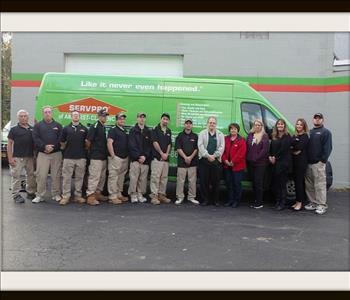 Our SERVPRO Heroes are dedicated to helping you in your time of need. Family Operated and Serving the Cheektowaga area for over 45 years!